People are bombarded with marketing from the moment they hop in their car for work to the time when they turn off their phone just before bed. All that noise can be off-putting to a potential customer. To stand out from that horde of advertising, harness the power of personalized marketing. This technique comes in many forms, yet they all help attract new customers when done right. Marketers creating personalized web experiences reported an impressive 19 percent uptick in sales. Almost 75 percent of Web users get frustrated when sites show them ads and promotions that have nothing to do with their interests. Most brands have some sort of personalization in place for their marketing efforts, yet only 10 percent of the biggest retailers feel they’re highly effective at personalization. As the numbers show, personalized marketing can be powerful, but it has much room for improvement. Read on to learn what to do — and what not to do — to boost your marketing efforts. A media company like the New York Times definitely has its core demographics, yet each reader has their own share of interests. Big news outlets publish so much content each day that the articles a reader might truly be interested in get lost in the shuffle. To help keep its audience as engaged as possible, the New York Times has been investing big in personalization over the past couple years. This goes well beyond the handful of “recommended for you” thumbnails at the end of articles. Instead, this is a fairly sophisticated system that tracks and displays what kind of articles the reader is interested in. Based on those habits, a custom lineup of articles and videos is suggested. These efforts have helped increased the quality of each visitor’s experience and has lowered bounce rates. While none of us likely have the deep pockets of the New York Times, we can learn from their efforts for our own websites. If you’re a content-heavy website, ensure certain types of readers are getting the type of information they’re interested in. 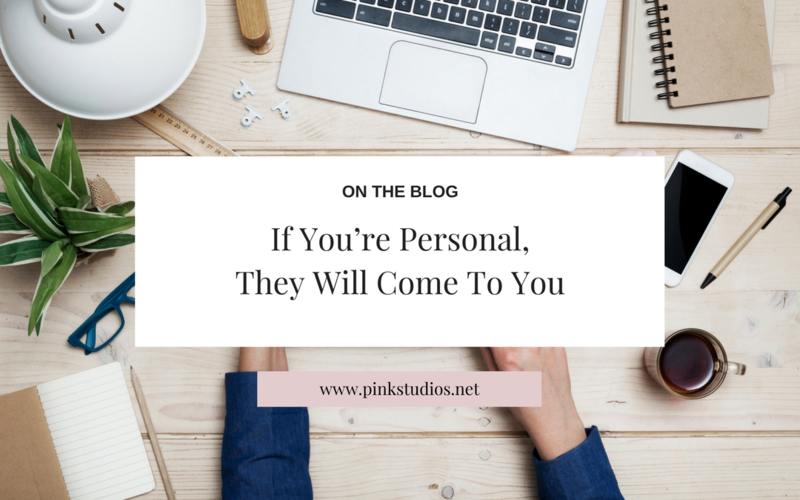 One of the easiest ways to include a touch of personalization is to include the person’s name when sending out an email. This is a feature for most email campaign platforms, so it’s not hard to be tempted to do this. While it sounds smart — and polite — to include a personal greeting in your next email campaign, you might want to hold off on that. Research has found that this turns people off because they’re accustomed to a wide range of spam and phishing attempts that include their names in the hopes of building trust in a victim. These days, most people can see right through such a scheme. The last thing you want is for your company to be associated with those unsavory types. While you should definitely err on the side of caution, there is a time and place for including the recipient’s name in the email. Online learning resources such as Khan Academy and Coursera do well by including the recipient’s name, as it simulates the classroom and adds a welcome personal touch to the curriculum. If you’re offering lessons of any type, then including the name might be a good idea. Otherwise, seriously consider whether it adds value or not. Thanks to the Internet, even the smallest of businesses can go global. The downside to that is it makes marketing efforts all the more challenging when you’re dealing with different time zones. It’s natural to focus on the time zone you’re based on — especially when you’re already super busy. However, it’s important to target your digital communications (e-mails, social media, etc.) to people at the best possible times for each market. Look at what happened to online clothing retailer BustedTees when they took this strategy to mind. The results were incredible when the company stopped sending one daily email at the same time and instead staggered it based on the time of the intended market. Email revenues were up 8.2 percent, and the click through rate rose to 11 percent. The content of the emails were the same — all that changed was the time they were delivered. Time zone management is a low cost way to increase business. Do the research and discover the best time to reach your customers. First impressions are important, and that’s why your website needs to immediately entice potential customers appropriately. Everything needs to be pleasingly designed and quick to load, but also clearly information and understated, especially if the topic and your business serves a delicate audience. 12 Keys Rehab takes on this approach and highlights their counseling services based on each client’s needs rather than a generic approach for everyone. Adding some additional personalization can help turn a good website into a great one. Continental Warranty seemed to reach its peak when it comes to converting online visitors. However, they profiled visitors and sent them to specific landing pages. Doing so increased leads by 90 percent, according to a case study. There’s a fine line between smart personalization and going so far that it comes across as inauthentic. Experiment regularly and track your results. You’ll soon discover what works best for you — and your audience. Lexie Lu is a designer and blogger. She actively contributes to the design world and usually has a cup of coffee in close proximity. She writes weekly on Design Roast and can be followed on Twitter @lexieludesigner.